The weather has been absolutely perfect, making the fishing in the Everglades great! 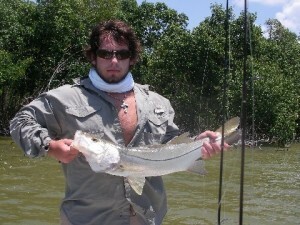 We caught this beautiful snook today, using live pilchards for bait . Along with the snook, the redfish and trout were also on the bite, providing us with some great action! Don’t miss out on the action, give me a call today and let’s go catch some fish!